Not a single word on special status like his rally in 2014. 2014 चे सभेंत मोदीन गोंयकारांक खाशेलो दर्जो दिवपाचें उतर दिल्लें, पूण हे खेपे तो ताचेर एक्कय उतर उलयलो ना. पूण गोंयच्या खण प्रस्नार तोडगो काडपाचें उतर मात प्रधानमंत्री नरेंद्र मोदीन दिलें. Dr Vikram Patel, a world renowned psychiatrist and co-founder of Goa-based NGO Sangath, has bagged the most prestigious John Dirks Canada Gairdner Global Health Award. 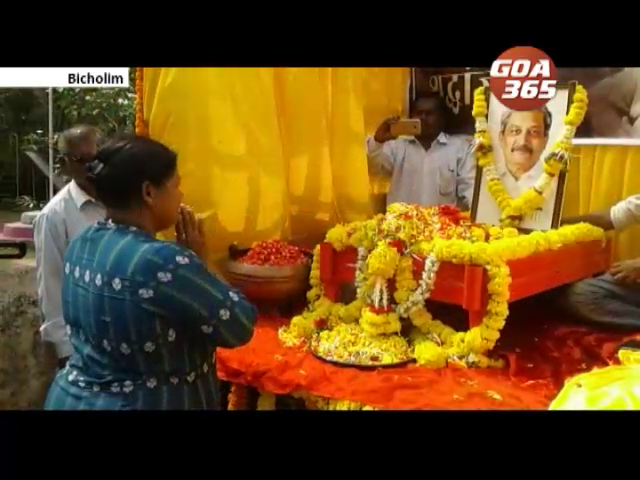 From central ministers to Goa’s top spiritual leaders, people from different walks of life paid deep condolences to former chief minister Manohar Parrikar on Thursday. 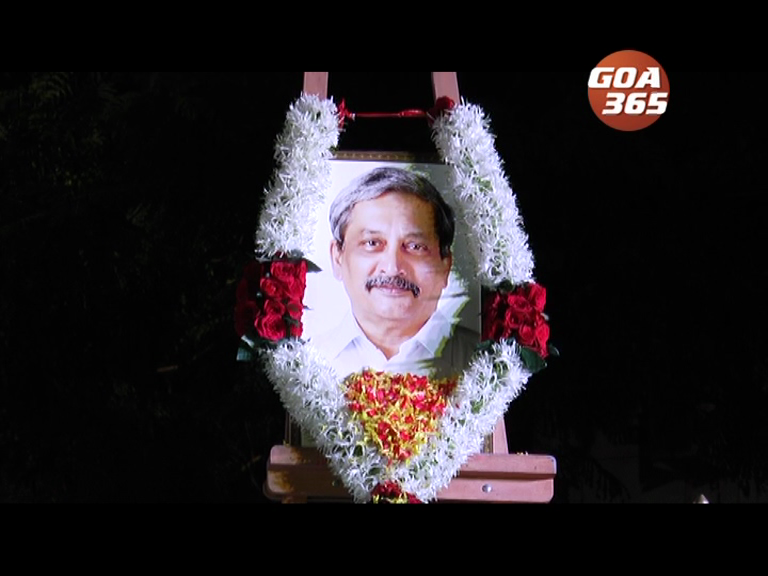 Former chief minister Manohar Parrikar's ashes were immersed after travelling across the state. Former Chief Minister of Goa Manohar Parrikar passed away on 17th March 2019. 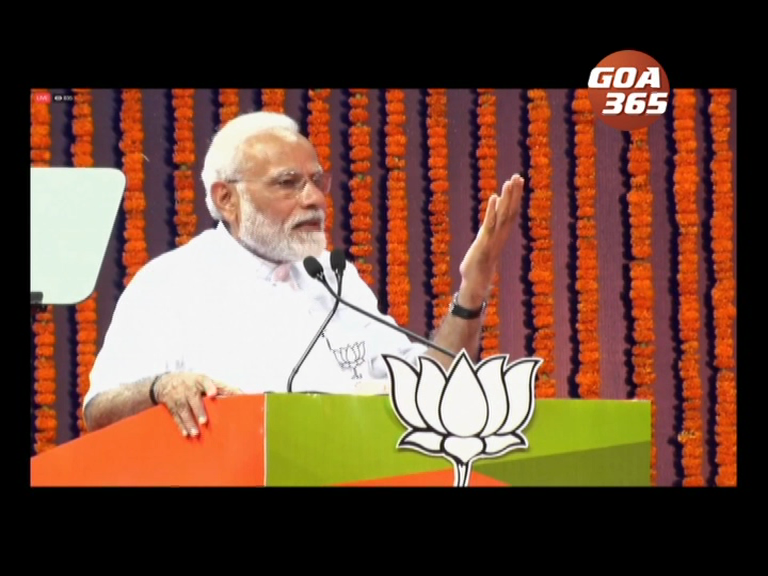 गोंयचो मुख्यमंत्री मनोहर पर्रीकार हालींच संवसाराक अंतरलो. ताचे यादीन गोंयभर वेगवेगळ्या पांवड्यांचेर श्रद्धांजली दिवपाच्यो कार्यावळी जाल्यो. उपराष्ट्रपती वैंकय्या नायडून आयतारा मनोहर पर्रीकाराच्या घरच्यांक सांत्वना भेट दिली. पर्रीकाराचे फामिलीक ताणें धीर दिलो. 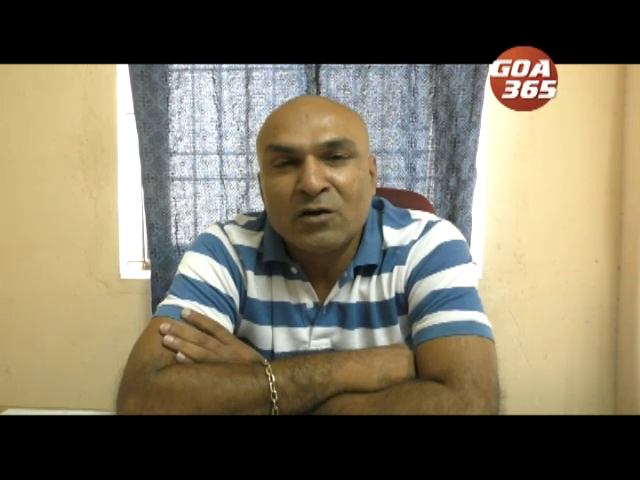 Former Speaker Rajendra Arlekar said former chief minister late Manohar Parrikar was the tallest leader of Goa's political hierarchy; he said everybody will feel the loss now that he is not among us. 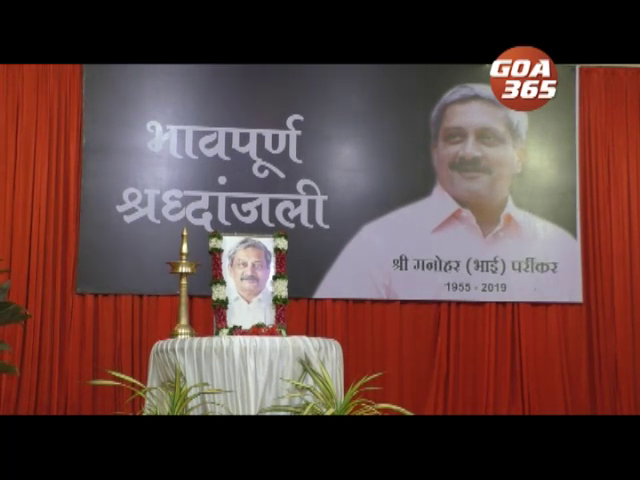 Dignitaries from various fields offered condolences to former chief minister late Manohar Parrikar at a program held at Azad Maidan in Panaji. 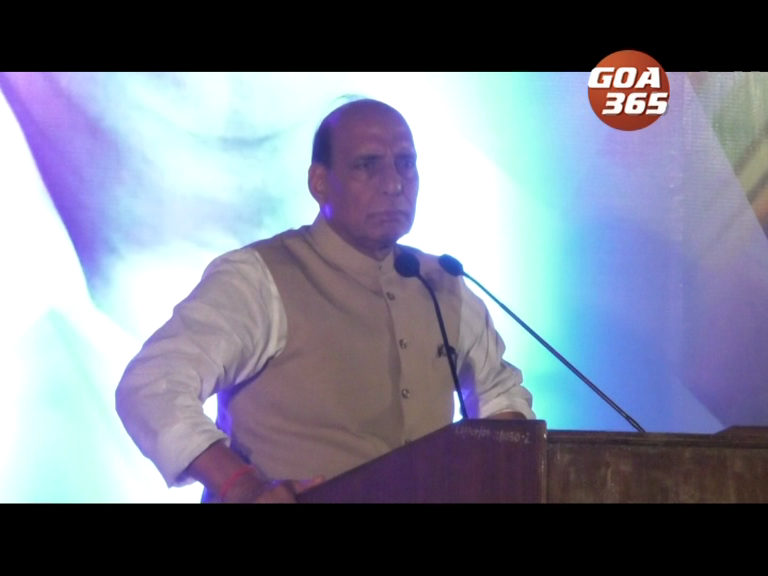 It’s a sheer coincidence that deaths of chief ministers gave the youngest politicians as their successors in Goa. जेन्ना जेन्ना गोंयच्या मुख्यमंत्र्याक मरण आयलां त्या त्या वेळार युवा राजकारण्याक त्या पदाची संद मेळ्ळ्या. 1973 त भाऊसायब बांदोडकार संवसाराक अंतरलो, ताची धूव शशिकला काकोडकाराक मुख्यमंत्री केल्ली. Goa woke up on Saturday with a shocking news that Chief Minister Manohar Parrikar’s condition has become critical and he is in coma. शेनवाराची सकाळ उदेलीच दुखेस्त खबर घेवन. मुख्यमंत्री मनोहर पर्रीकाराची भलायकी सामकीच इबाडल्या आनी तो कोमांत गेला. मुख्यमंत्र्याच्या कार्यालयान अधिकृतपाणन ही खबर न्हयकाल्ली. Digambar Kamat is person who first serves humanity and then gives importance to politics. : पयलीं मनीसपण. मागीर राजकारण. ही खासीयत आदलो मुख्यमंत्री दिगंबर कामतीची.